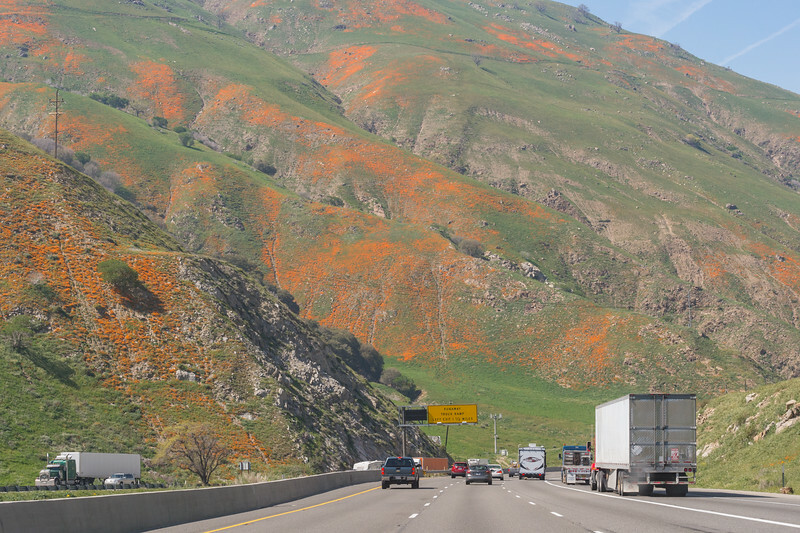 Just north of Tejon Pass, Interstate 5, Southern California. Taken March 18, 2016. Yes I was in California march 22nd to march 29th on interstate 5 south of Bakersfield I saw this very image. being from Chicago I never seen such a beautiful site.